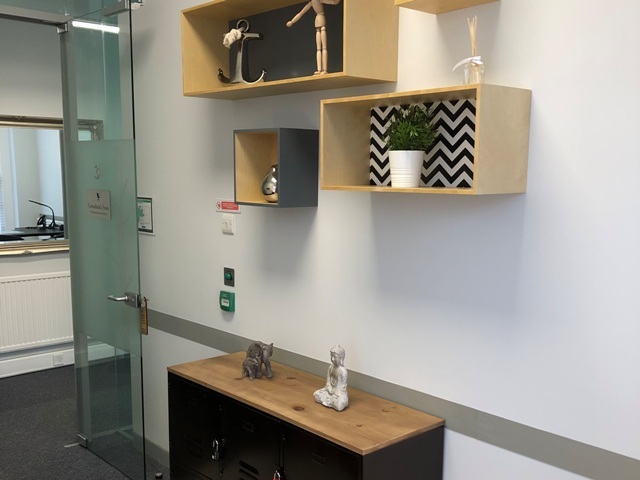 The Consultant’s Suite at Director General’s House is now open and available for hire on an hourly basis. 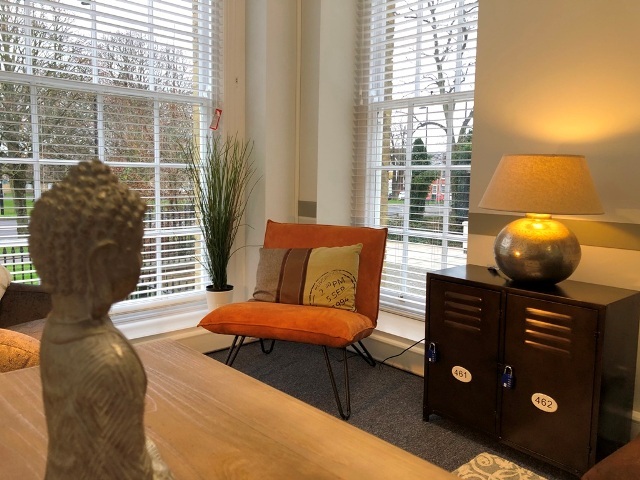 This specially designed and well-equipped office and meeting room offers a dedicated, private and calming space for therapy practitioners to meet with clients in Southampton. 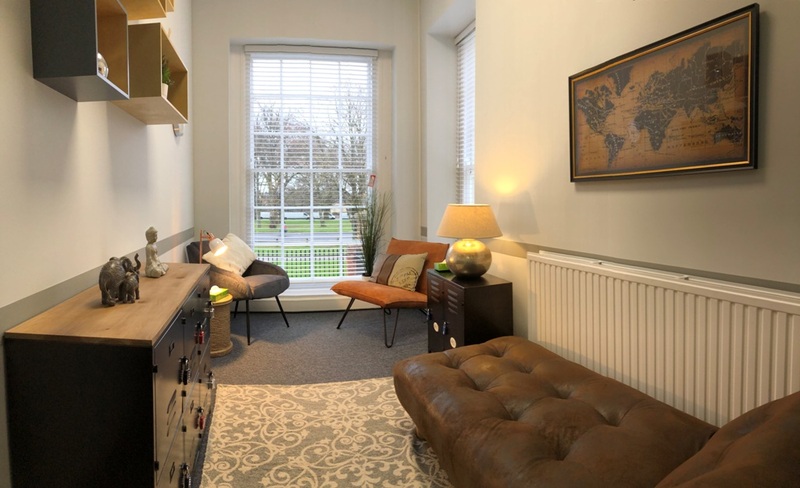 Our new therapy room offers a calm and serene setting through careful and considered features and design. And a white noise sound conditioner to prevent intrusive noise distractions and encourage focus. 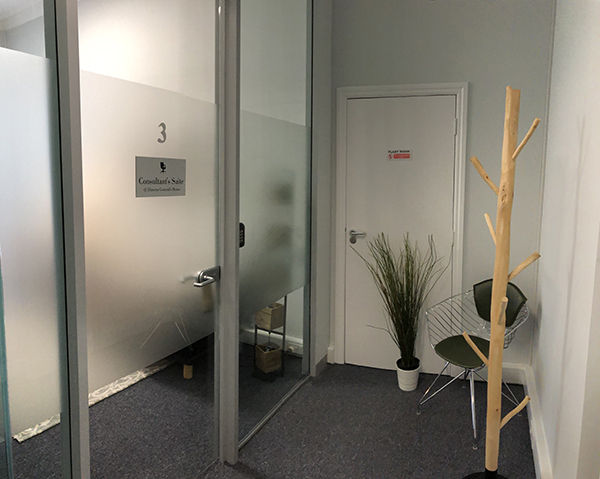 If you are booking The Consultant’s Suite for the first-time, you’ll need to become a member of The Workstation. Annual membership cost £15 (+VAT). 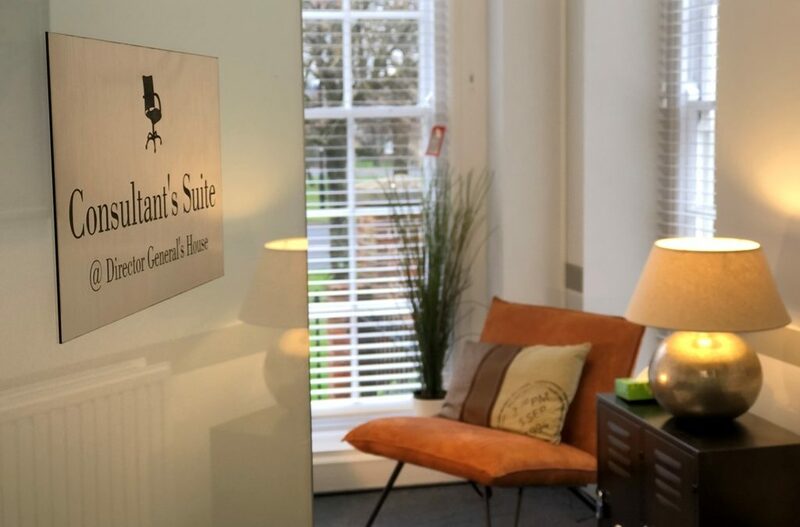 Once you’re signed up you can book The Consultant’s Suite as many times as you like throughout your yearly membership at an hourly rate of £10 (+VAT). The easiest way to book is online through our Passport app — but if you have any questions or would like assistance with your booking, please feel free to get in touch by email or by giving us a call on 01727 260 177.